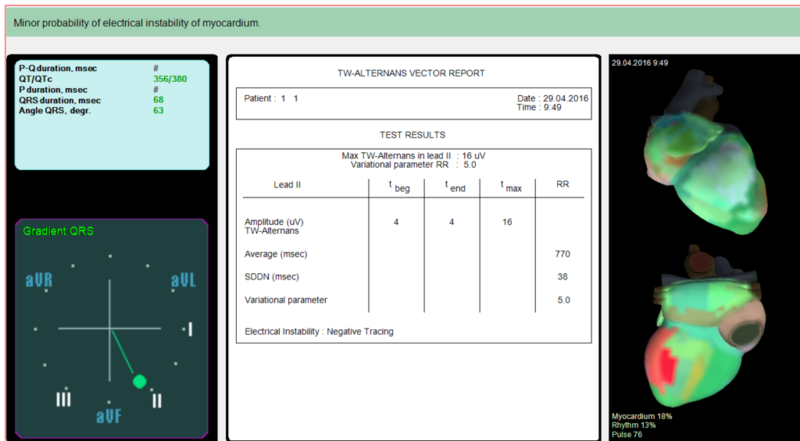 The CardioDM-06® (Heart Vue™) is significantly different from conventional ECG analysers, as it is based on a new approach to analysing the ECG signals – the ECG Dispersion Mapping (ECG DM) method. 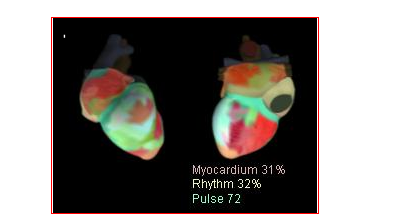 The ECG DM is the analysis of dispersions of the low-amplitude oscillations of the ECG signal in certain intervals of the PQRST complex, which is not available in standard ECG analysis methods. 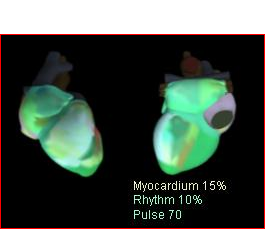 detection of even small metabolic deviations (shifts of electrolytes, ATP (adenosine triphosphate) concentrations) and other metabolism parameters which precede the ischemic heart damage. 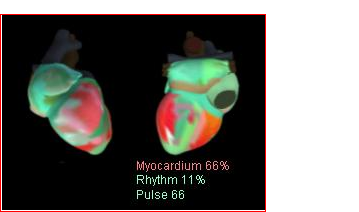 higher sensitivity and specificity for cardiac diagnoses (at myocardial ischemia the sensitivity is 80% and specificity is 75%). 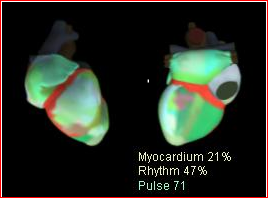 Depending on particular pathology, such sensitivity of the device surpasses standard ECG analysers 7-50 times. 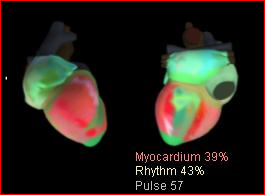 the use of new information from ECG fluctuations, usually ignored as the “noise”, as compared to conventional ECG devices. 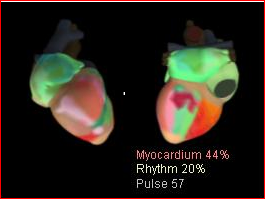 representation of cardiac abnormalities or stress in 3D visualisation instead of demanding measurement and logical analysis, as it is in the standard ECG. 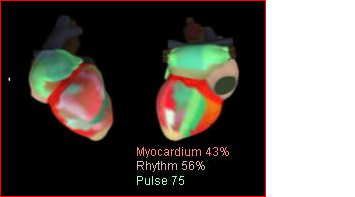 evaluation of stability of the current heart condition. 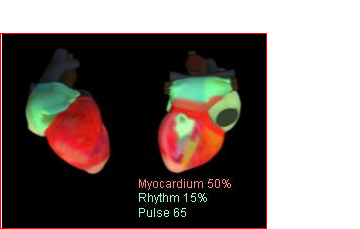 This is very important, as a heart with large deviations can be stable (these patients often have long survival times), and, by contract, a heart with small deviations can be extremely instable and decrease of dangerously unexpected relapse. 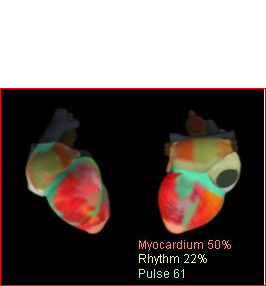 provision of much better diagnostic data, as compared to automatic ECG devices. 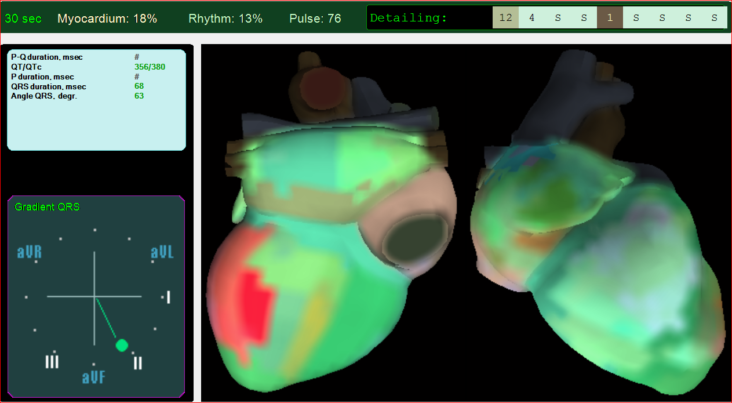 The Heart Vue produces not only a conventional ECG record but also a map and analysis of QT dispersions – values of cardiac changes, the so-called heart portrait (3D visualisation). 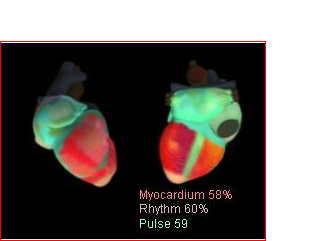 The analysis lasts for 30-60 seconds as the constant monitoring of the ECG signal.